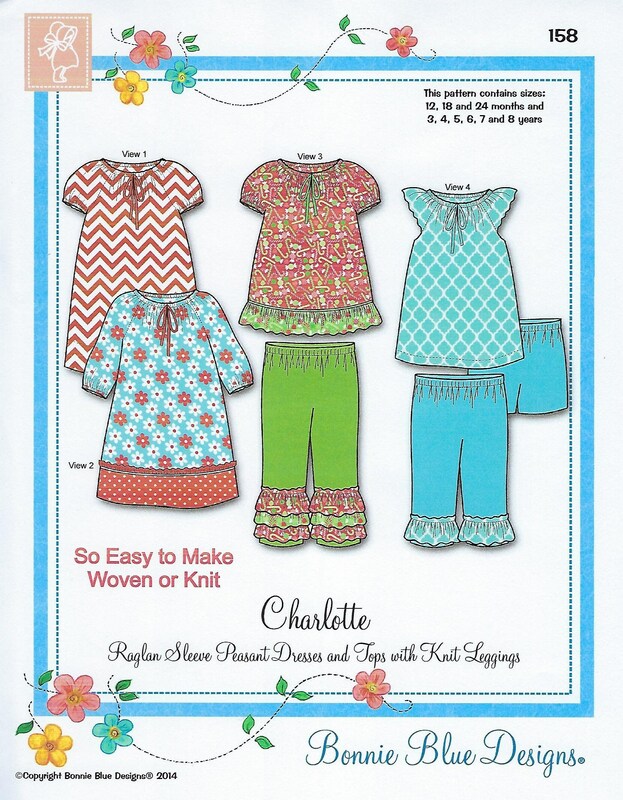 Package includes patterns and instructions to make Raglan Sleeve Peasant Dresses and Tops with Knit Leggings / Shorts, Capri and Ankle Length. View 1 - Knee length peasant dress with short sleeves. View 2 - Knee length peasant dress with hemline border and trim, three quarter length sleeves. View 3 - Peasant top with hemline piping and ruffle and short sleeves. View 4 - Peasant top with Flutter sleeves. Optional decorative fabric neckline fabric bows or ribbon bows. 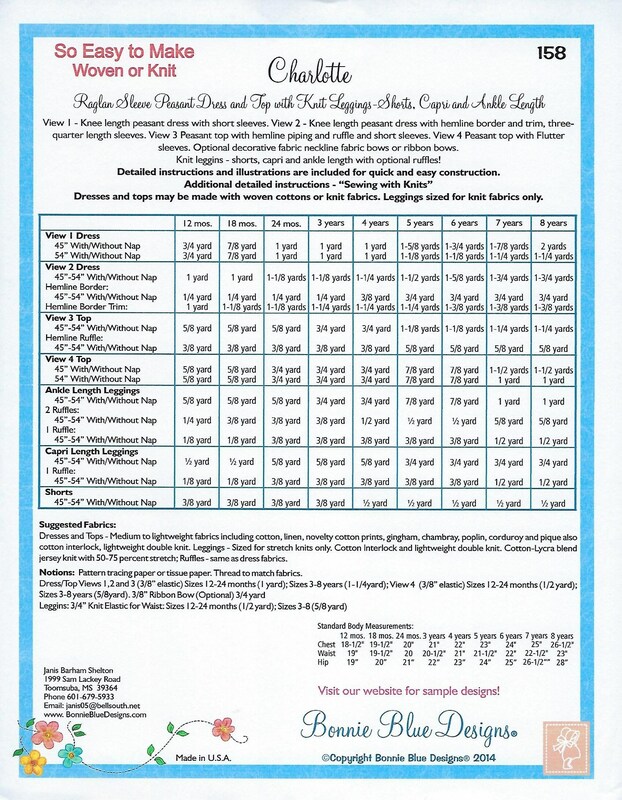 12 mo, 18 mo, 24 mo, 3 yr, 4 yr, 5 yr, 6 yr, 7 yr, 8 yr - All sizes included in one envelope.